Tik Tik Tik… the click of a 200-peso coin against the window and a little whistle and over to us swam the nutria, a South American river otter, in its brand new enclosure to lie on the shelf about a foot away from our noses. We were at the Medellín Zoo! Al Zoologico Santa Fe de Medellín! The plexiglass window made the nutria approachable while still being safe from us. It was able to enjoy its pool, its mates and their pond lined with plants and rocks exactly as they would live in the wild. No cages, no bars, no phony props. It was just the zoo’s new director, Dra Sandra Correa, her intern, grad student Juan-Camilo Mora, a bunch of kids on a field trip and me standing in front of the newest and most forward-looking enclosure in our zoo. “It will be slow. Our conversion has begun and is doing well, but it will be a while before we can complete our present plans,” Juan-Camilo translated. Back in her office Director Correa showed me the beautiful hi-tech printouts and architectural renderings of the zoo’s Master Plan designed with help from the University of Medellín’s architecture department. It was impressive seeing the future zoo divided into six zones, one for each of South America’s five major environments, the Amazon, the Plains, the Andes, and the Pacific and Caribbean Coasts, and one zone for exotics, the animals not from South America such as the lions, kangaroos and wild sheep. She pointed outside through her office window at the beginning of the Plains zone where right now all of the bars have been removed and replaced with moats and obstacles to keep the animals in without any visible restraints. There, rambling around in a large area designed to look like and function as their natural habitats, were chubby herds of rodent capybara and some anteaters and their babies, as well as walking birds native to the pampas and llanos. So I asked the hard question…Why should anyone want to come to a partly redone zoo? The director’s eyes lit up. “Do you see how beautiful this place is in the heart of Guayabal, with hundreds of species of tropical and semitropical plants like the Jardín Botánico? “We have beautiful spaces here for lunch, for kids, shade and amusement in the heart of the city, and special programs on wildlife photography, and “nighttime at the zoo” programs during the Feria de las Flores. Last month while the people voted for their President, zoo guests “vote for Best Animal in a mock election for kids based on learning about Biology and the Environment, and our Science Club is going full force. Come see our Butterfly house and walk among them! “And all of this will get better and better over time. 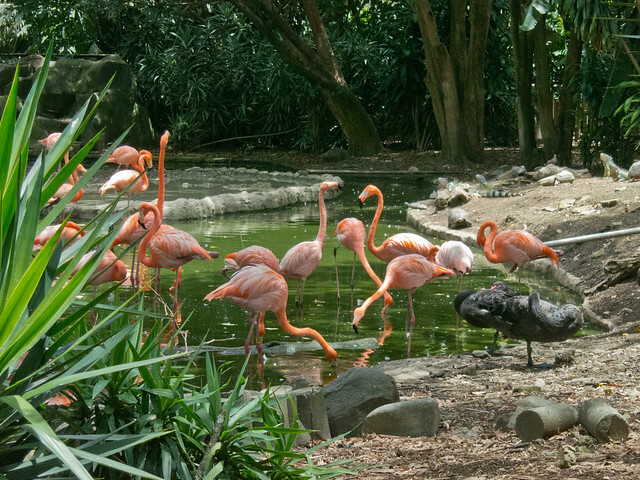 Help us get the word out that Medellín has an old but advancing zoo. And a great city needs a great state-of-the-art zoo. “No public monies are used for us here. But we promise that the bars and concrete will come down. We know our challenges. Our entrance will become attractive… it is awful now, we know, but we are planning to make the entry as if you have been invited to La Casa Santa Fe. 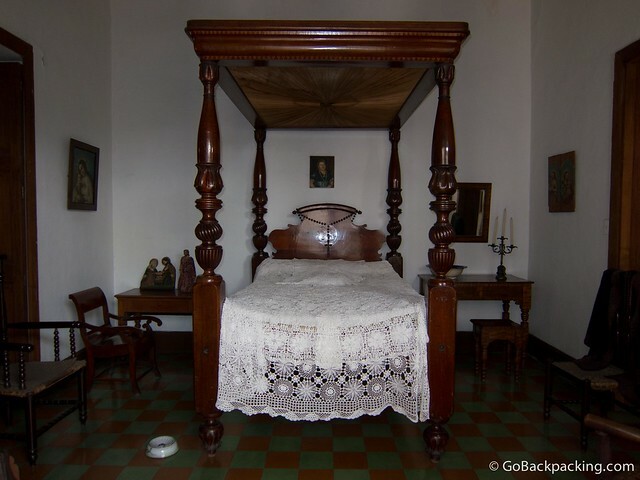 “And we will integrate our treasure, the beautiful old mansion, la Casa Museo de Sra Mercedes Sierra de Perez into the life of the city. She is the philanthropist who donated her home and over four hectares of land to the parks.